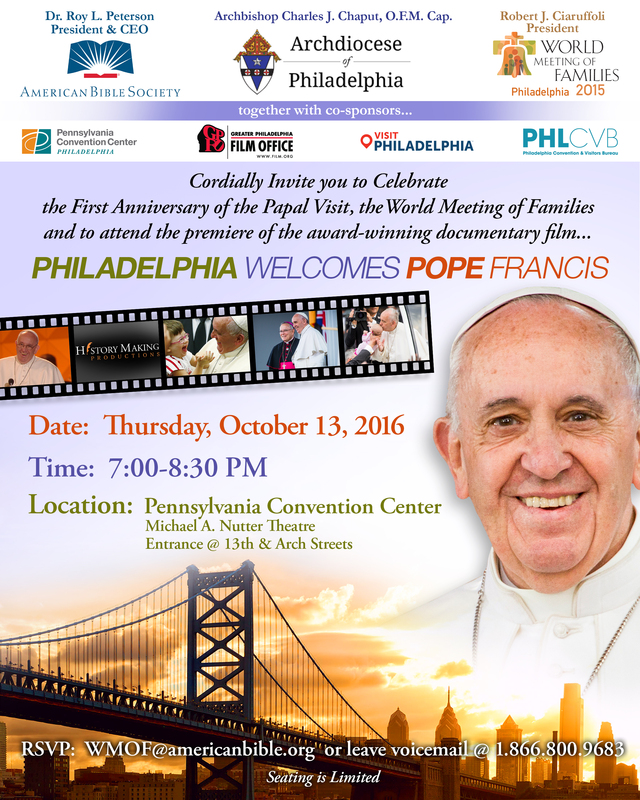 On Thursday, October 13, 2016, from 7pm-8:30pm, there will be a premiere of an award winning film documenting the World Meeting of Families – 2016 and the visit of the Holy Father. All are welcome to attend the premiere and celebrate the one year anniversary of Pope Francis’ visit to our great city. This entry was posted in Uncategorized on October 2, 2016 by sjwebmaster.